Etching Stainless Steel: Which Technique Works Best? 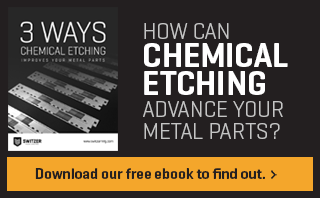 Chemical etching can play an important role in metal part fabrication. Lead times allow for more flexibility; tighter tolerances can be achieved; scalable volumes are made possible. What is a photo tool? And how is it different than hard tooling? Short Version: Photo tools are an essential step in the etching process. They are the means by which we transfer your design from your CAD file onto the metal.